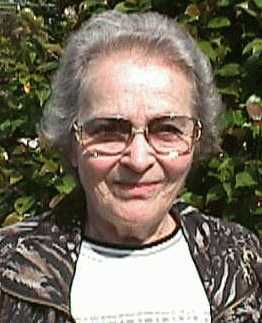 Mrs. Miller Mrs. Lucile Miller was a Science Teacher at Maiden High School for 30 years.Loved and respected by all the students, Mrs. Miller had the ability to sell the idea of an observatory to the entire student body. In the spring of 1971 Mr. Chris Williams, a former student of Maiden High School who was then a student at North Carolina State University in Raleigh, wrote a letter to Mrs. Lucile Miller informing her of the availability of an astronomical telescope. It seems that Mr. O. N. Rich, who at the time was the advisor for an astronomy club, had told Chris Williams that he had such a telescope that he wanted to give to some organization that would put it to good use. Mrs. Miller took the letter to her principal, who was then Mr. Wilburn Burgin, and the two of them discussed the proposal, which Mr. Rich had made. Mr. Rich had proposed to give the telescope provided that it was properly housed in a suitable structure with adequate protection. He further stipulated that the agency receiving the gift must agree to keep and maintain it for its intended purpose. Mrs. Miller and Mr. Burgin discussed the proposal and all of its implication and agreed to proceed to take advantage of the opportunity. This was a major decision because this meant that Maiden High School would be the first high school in the state with an observatory. The next step was to contact Dr. Harry Arndt who was then the superintendent of Catawba County Schools. Dr. Arndt in turn presented the matter to the Catawba County Board of Education. The Board approved the project but with the approval it was made clear that the Board could not be counted on for financial support. 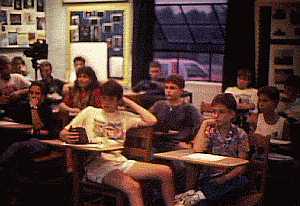 The Board did grant permission for the school to raise the money to finance the project. Meanwhile, Mrs. Miller had also contacted the members of the Science club at Maiden High School and the members favored the idea 100%. They pledged their support to raise the money. Mrs.Miller was now ready to respond to the letter she had received from Chris Williams some several months earlier. She wrote to Chris, and she also wrote to Mr. Rich advising them that Maiden High School would like to take advantage of the offer of the telescope. Mr. Rich, then visited the school and agreed to make the gift to the school. 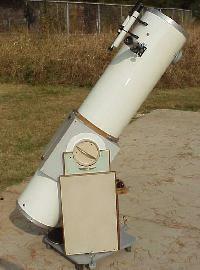 In the summer of 1972 the telescope arrived on campus. Chris Williams had rented a U-Haul trailer to bring it, and since the school was closed on that Saturday, he had to call the principal to come and let him in the building. The fall of 1972 found the Science Club members beginning their money-raising projects. They worked hard at bake sales and car washes. They operated the concession stands and sold hot-dogs at basketball games. By the Spring of 1973 they had over three thousand dollars in the Science Club account. This included the donations from local agencies. Also included was a generous gift of several thousand dollars from the Maiden High School Athletic Boosters Go Big Blue! By May of 1973 things were ready for the ground-breaking ceremony. Mr. Paul Taylor from the State Department of Public Instruction was the speaker. Setting a 14" steel beam by hand! 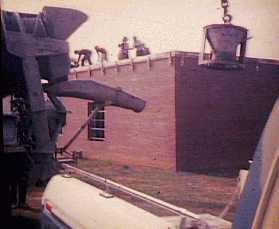 In the Fall of 1973 Mr. Marshall Sherrill of Fred T. Foard High School had already been contacted to assist with the construction. At that time he had drawn ue the working plans. These were passed to Mr. Charles Tuttle who took them to Raleigh for approval by the Division of School Plant Planning. These plans were not approved on his first trip but after some adjustments we were given approval to proceed with construction. In late Fall of 1973 Mr. Sherrill brought his masonry class over and laid off the foundation. These members of the new astronomy class at Maiden High barely had time to get the footing dug before the Christmas vacation. It was Spring before Mr. Sherrill could find the time and suitable weather to pour the footing. That�s as far as the construction went that year. The construction might have been moving at a slow pace but that didn�t mean that the members of the Science Club were idle. The campaign to raise funds continued. There were paper drives. There was a campaign to collect soft drink bottles and sell them. There was the campaign to collect aluminum cans for re-cycling. That year they also held several bike-a-thons. 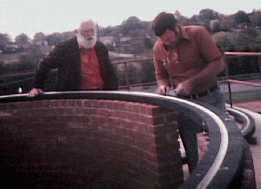 In the Fall of 1974 Mr. Sherrill�s bricklaying class began making their daily trips over to lay the brick. 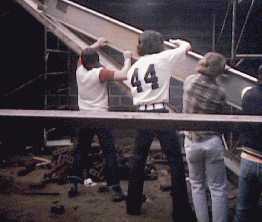 After this Mr. McRee�s construction classes began doing the steel work. After this they poured the concrete roof and later the floor. By this time we had the shell of the building. Also at this point the Board of Education approved funds for the construction of the fence, and assistance with the plumbing. Mr. Edwin Carpenter who is a supervisor of maintenance had the cabinet built for the dark room. Through the Board of Education we received materials for finishing touches, such as paint, chalkboards, and bulletin boards. 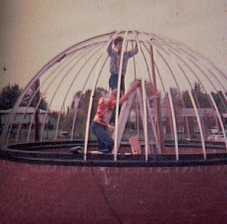 Soon after school started in the Fall of 1975 Mr. Rich was contacted to help in constructing the dome. Mr. Rich planned the dome and ordered the materials. When he had all of the materials ready, Mr. McRee went to Raleigh and brought these back. In October Mr. Rich came back to Maiden, this time he spent 6 weeks here helping with construction of the dome and the mounting of the telescope. An interesting feature of the dome is the fact that it rolls around on roller skate wheels on a smooth plywood track. The dome itself was first assembled in the school shop in order to check the fit of each piece. Several rounds of fine tuning later, the dome was ready for final installation on the roof of the observatory. 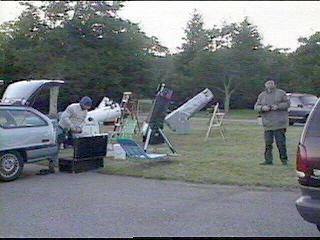 After he had completed this, our observatory was finally ready for operation. 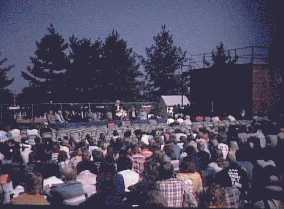 A formal dedication was planned and held on October 12, 1976 with hundreds in attendance. In appreciation for outstanding service and leadership this observatory is named the Lucile Miller Observatory, by decision of the Catawba County Board of Education. Soon after the observatory opened, they were fortunate to secure the services of Mr. R. V. Whitney as our "Resident Volunteer Astronomer." 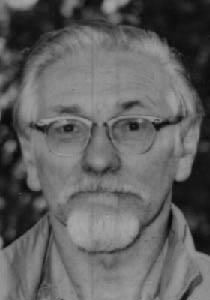 Mr. Whitney was an acquaitence of O. N. Rich and had retired from a busy career in astronomy which included a position as lecturer at the Charles Hayden Planetarium in Boston. 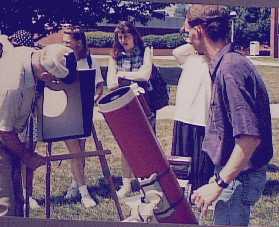 Mr. Whitney guided the students at Maiden High School through many hours of wonderful astronomy programs, including solar eclipses, calculating comet orbits, and extensive astrophotography. 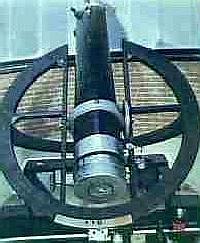 In addition, he acquired and built several instruments which are still in use at the observatory today, including the 10" f6 Dobsonian Reflector. 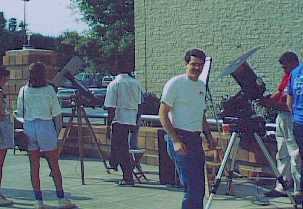 The contributions of R. V. Whitney laid the foundation which made the Lucile Miller Observatory one of the premier amateur observatoies in the United States. 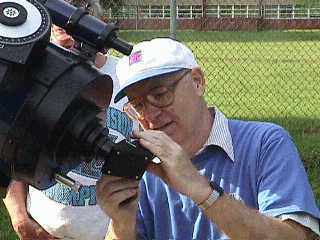 In June 2000, the Lucile Miller Observatory dedicated a new 64 seat amphitheater in honor of Lucile Miller Observatory Volunteer Robert "Bob" Hunt. 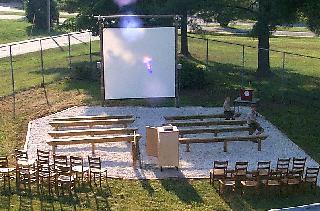 The amphitheater allows us to present multi-media astronomy programs and guest speakers under the stars. The Lucile Miller Observatory is part of the Catawba County School System and is the only freestanding high school observatory in North Carolina. We provide programs to the county school syastem, other school systems and all grades, civic groups, church groups and absolutely anybody else who wants to look at the heavens! We can even arrange to travel to YOUR location with some of our equipment. Our astronomers are certified counselors for the Astronomy Merit Badge and we welcome all Scouting and other youth organizations. There is never a charge for any of our services!